When you are facing a DUI or drunk driving charge, you need a drunk driving attorney who specializes in the rapidly changing DUI laws in Michigan. The experienced dui attorneys at Elder Brinkman Law know firsthand the difficulties involved with winning your drunk driving case and will work tirelessly to help you navigate this confusing area of the law. In Michigan, it is illegal to drive with a .08 blood alcohol concentration (BAC) or above. Of course, the best solution is to avoid drinking whenever you are operating a motor vehicle. However, if you are caught driving while intoxicated, you will need an experienced DUI attorney who will fight to protect your rights. Michigan’s tough drunk driving and dui laws make it vital that you protect your rights with the help of an experienced and knowledgeable dui attorney from Elder Brinkman Law. If you have been arrested for a DUI, our expert drunk driving attorney will offer you honesty, integrity and the experience you need when defending you in your Michigan DUI case. Our attorneys will aggressively defend and protect your rights — and our courtroom experience will make the difference in your DUI case! Time is vital when dealing with a DUI related offense. 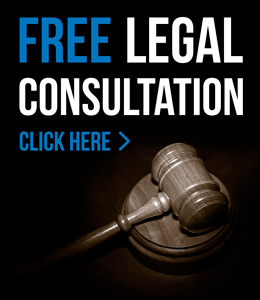 Hiring an experienced Michigan DUI attorney quickly will help ensure that your rights are protected. DUI or driving under the influence can either refer to driving under the influence of alcohol, driving under the influence of drugs or driving under the influence of a combination of liquor and drugs. This is the most widely used term for drunk driving cases. DUI or driving under the influence of alcohol or drugs does not only pertain to cars or trucks. You can also be charged with a DUI offense for operating a boat, motorcycle, snowmobile, moped, scooter or bicycle. In 2009, Governor Jennifer Granholm signed two public acts — which later became known as Michigan's super drunk laws — adding a new definition of drunk driving. As of 2010, drivers with a BAC of 0.17 or more grams of alcohol per 100 milliliters of blood, per 210 liters of breath or per 67 milliliters of urine, are now charged for a more serious crime. If convicted under this new law, drivers now face license sanctions, higher fines and costs and are required to undergo one year of alcohol rehabilitation. Individuals charged with high BAC or repeat offenders face one year or alcohol rehabilitation and have their driver's license suspended for one year. The first 45 days of the suspension forbids driving at all. For the remaining 320 days, the driver is entitled to restricted driving privileges, but only if the offender pays to have a breath alcohol ignition device placed in their car during this period. A youthful drunk driving incident and an OWI two decades later is counted as a second offense and qualifies you for the year of alcohol rehabilitation and a suspended license. For more information about the drunk driving and dui attorneys at Elder Brinkman Law or to schedule a free initial consultation regarding a drunk driving charge, contact our office today or call us directly at 313.582.5800.